And I’m too feeble to resist. 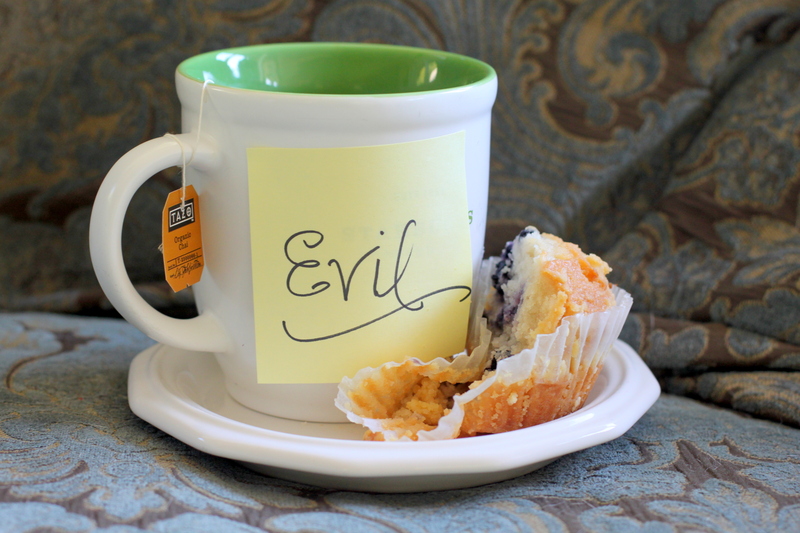 I just scarfed a blueberry muffin that tasted like frickin’ birthday cake and a real cup of Chai (not decaf…). This is not about falling off of the wagon completely, just acknowledging that I’ve taken a brief and delicious hiatus from the cleanse that’s kept me on track for the last 60 days. And they’ve been wonderful days, don’t get me wrong. It’s just that in times of weakness sugar calls to me like crack. Somehow by admitting this to the whole wide internet I feel like less of a loser than I would just nibbling away like a hermit at my desk. OK, it’s illustrating day, so here’s to work. If your Monday started off like mine then here’s to gettin’ through it together. Thank you thank you thank you! I love you like no other! And I’m thinking of peppering my whole pantry with these sweet little post it notes. If anyone else needs the same assistance I’ll be more than happy to scrawl a few nasty words down for them. Is that an appropriate coaching system?! Whatever works is appropriate! I have to completely remove the stuff from my pantry or I’ll cave. Maybe you can make post-its to help me get my @ss of the couch and to the gym? i have the same monday morning issues with honey dipped deep fried goat testicles….